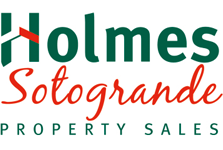 It’s not something every company can boast, especially in a relatively new area like the Costa del Sol, but this year Holmes is celebrating 40 years in Sotogrande since opening their 1st office in 1979. “We can look back at four highly successful decades in which we not only helped a large number of people find their Sotogrande home and introduced them to the unique quality of life it offers, but also formed part of the resort’s evolution,” says Ian Bateman, who first established Holmes Sotogrande with his wife Jackie and business partner Miguel Preysler de la Riva. The partnership bore fruit, and in no time the pioneering firm born out of a tourism business began to make an impact, not just in selling properties in Sotogrande but in its overall promotion to an international high net worth audience. Great opportunities for this were the 1982 FIFA World Cup held in Spain, when Ian Bateman personally arranged for the Scottish national football team to practise and stay within the peace and tranquillity of Sotogrande. Many would later come back to visit in a private capacity. 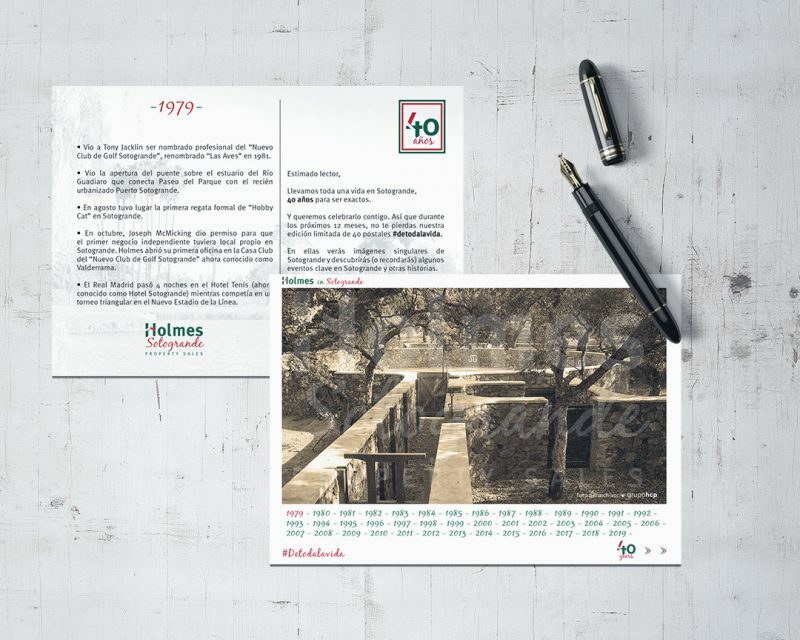 To celebrate 40 years in business as part of the fabric of this community, Holmes Sotogrande will be issuing a series of #Detodalavida postcards in the local El Periodico de Sotogrande newspaper that relive the past 40 years in this beautiful part of the world through original images and the listing of highlights from each year. We look forward to sharing this with residents, clients and those interested in buying property in Sotogrande, so look out for the El Periodico de Sotogrande newspaper of foloow this series of unique, historic postcards on our website and our social media pages, Facebook, Instagram and Twitter.